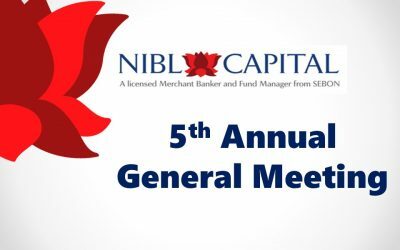 NIBL Capital Markets Limited will conduct its 5th Annual General Meeting (AGM) on Ashoj 24, 2074 at NIBL Capital Meeting Hall, Lazimpat, Kathmandu. The Fund Manager of NIBL Samriddhi Fund, NIBL Capital Markets Ltd, has proposed 18% cash dividend for NIBL Samriddhi Fund – I. The BOD meeting decided..